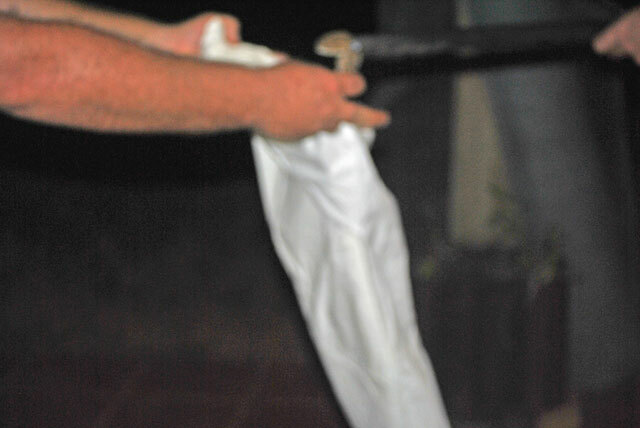 ‘Voila’ – One Puff Adder Under My Chair – ‘Sneaky Creeper’ – Table Leg 2.5 inches square. The holiday visit from Sons I and II was a low-key event, relaxed and unstressed… A foray was made afield, to the Kruger but there was a lot of sitting around, enjoying the bush from the comfort of the stoep as well. Dinner was finished; Grandson I was getting ready for bed and I took M’s coffee out to the stoep and put it on the outdoor table next to his chair. Going back inside, I had just closed the screen when I heard M remark conversationally “Hey guys take a look at this. 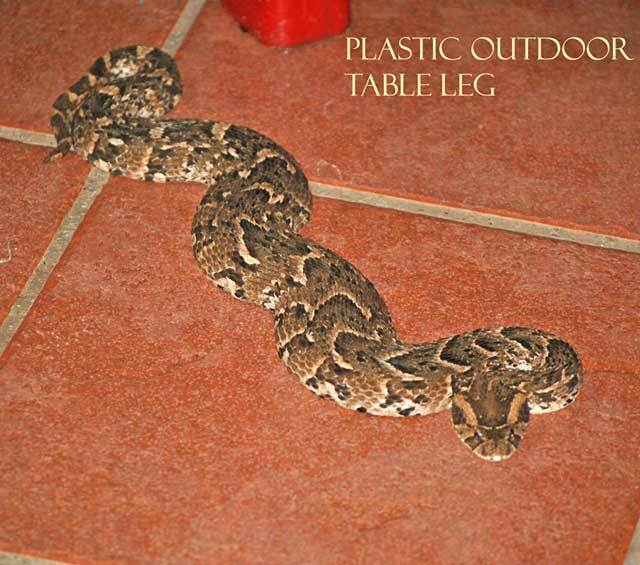 We have a visitor.” And there, on the tiles under his chair, was a large and capable looking puff adder, the snake responsible for causing the most snakebite fatalities in Africa. 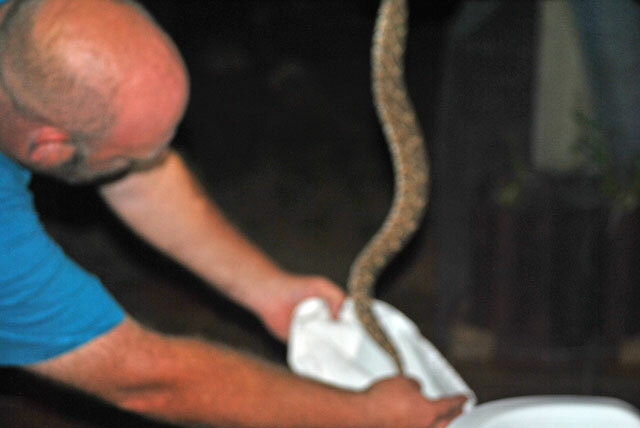 The men in my life know the bush, they regularly deal with all sorts of random encounters with all sorts of wildlife. Son II even goes out and generates dramatic encounters with wildlife for a living with his company (African Wildlife Management and Conservation). 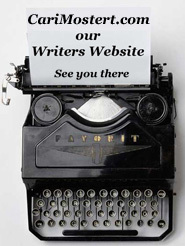 So there was no panic, no raised voices – they could have been discussing the merits of a socket wrench – consequently, I paid no attention to what was going on. 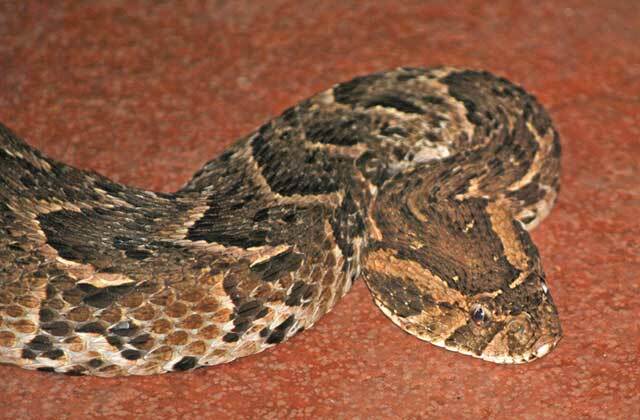 But when M quietly called inside for a length of pipe, I went to the screen door and saw the puff adder lying there very still. M had moved his chair away from the puff adder; Son I and Son II were cobbling together a snake catcher using the pipe and some thin rope. Son II had miraculously produced a Y pole before I woke up enough to grab the camera and M had taken a whole series of pics. I then took the final shots of snake to bag, staying far away, naturally out of focus. No one could find a sack so a king-size pillowcase was produced from the linen cupboard. While all these preparations were underway, this big puff adder lay absolutely still, not moving a muscle. He was about 30 inches long, thick and muscular looking. Using a y shaped stick to hold him down, the loop of rope was eased over (and under) his head and quickly pulled tight, picked up and lowered into the bag. 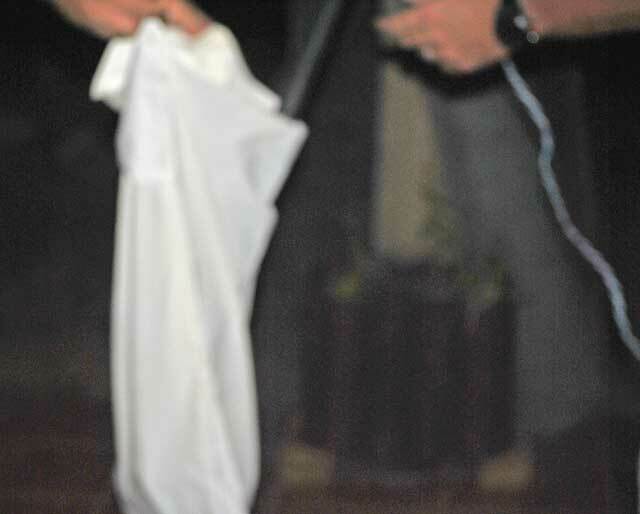 Puff Adder In the Bag. 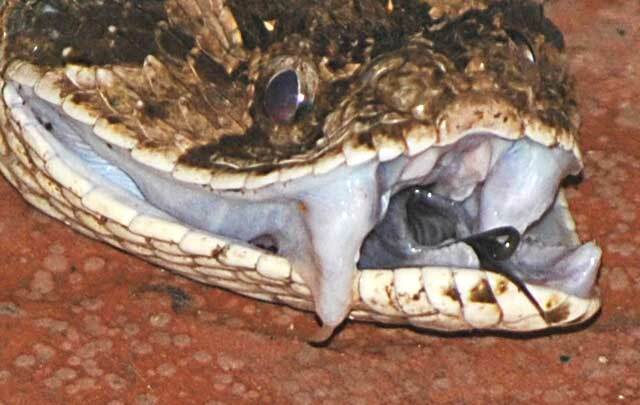 M and sons put the wriggling, writhing bag into the bakkie (truck) and took our visiting puff adder down to the banks of the river where he was released. He was a very well behaved snake – I had walked right next to him, my sandaled feet only inches away from his head as I put the coffee on the table. 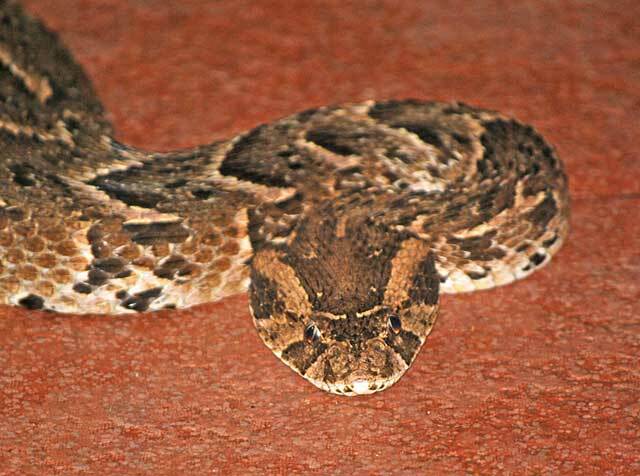 The puff adder or African adder (Bitis arietans) is a poisonous viper found in the savannah and grasslands throughout most of Africa and is possibly the most prevalent snake on the continent.